E-Mail » E-mail marketing campaigns in 3 easy steps | CM. Share your message and promos through our fully featured email marketing service. Upload the addresses, design email and send personalised campaigns. With Email Campaigns you can create your campaign in a few clicks. By using CM's Address Book you only need one app to send your message through multiple channels (e.g. Email and SMS) and really make the most of your email list and creativity. Upload your email addresses into the address book, design your template and send personalised campaigns. Review your campaign results with the built-in analytics. 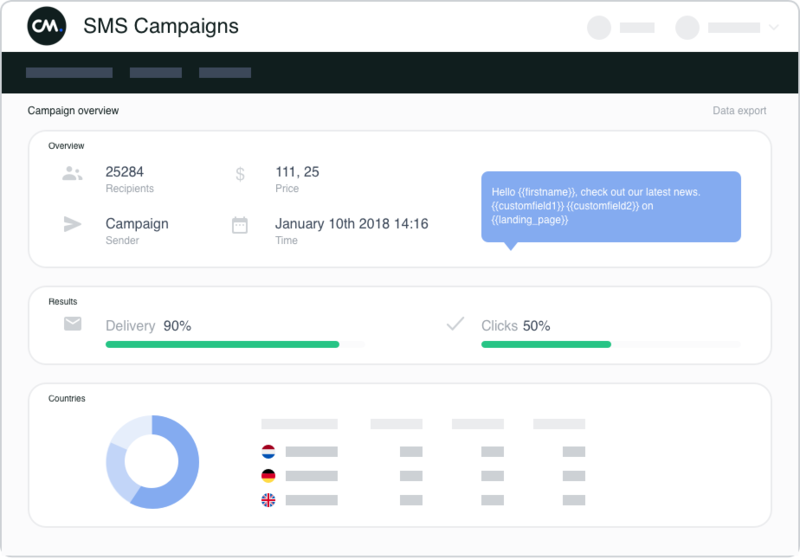 Email Campaigns offers an intuitive online self-service interface (WebApp) to easily send out emails. With this app our customers can use a drag-and-drop tool to design a personalised email and send to up to 1.000.000 recipients. By default, our email marketing service provides 3 ready-to-use templates. But you can create more for yourself and others to use. Your creativity is the limit. Looking for proper analytics? Email Campaigns has it all: from general CTR to in-depth recipient action reports on your call-to-action. Want to set-up your campaign and schedule the delivery? You can, with Email Campaigns. Easily schedule your campaigns and send on the most effective time. Select an admin of the account, enable access to selected users and create sub-accounts. This way, you can have several team members creating campaigns. Do you have the phone numbers of your customers in your database as well? Use SMS Campaigns App to send out SMS marketing campaigns to boost your customer engagement with SMS campaigns.